I'm interested primarily in LDS doctrine, but I welcome the perspective of other sects as well, as I believe that all of Christianity shares the same roots. Please specify from what denomination your view is from in your answer. There are more scriptures that reference how man and woman are twain without each other, and how united they are one flesh. We know it is impossible to be exalted without being married and sealed, so there is obvious significance to the sexes being reunited. Mosiah Hancock mentions in his vision that before the creation of Earth, all the children of God were arranged in pairs, a male with a female, and that each pair seemed to have been created mates. I'm looking for further knowledge and insight into this. Considering we are created in His LIKENESS and image, I'm left to assume that all spirits are born unto heavenly parents like children on earth are born unto mortal parents. But if that is so, then why are they born with spirit bodies, and not bodies of flesh and bone like unto their resurrected parents? Are all spirits born as male-female twins? Are they actually born, or are they created? If created then how are they created? “‘And I, God, said unto mine Only Begotten, which was with me from the beginning: Let us make man [not a separate man, but a complete man, which is husband and wife] in our image, after our likeness; and it was so’ (Moses 2:26). The part I found most interesting was, "The likeness of God is a complete man, being husband and wife." This seems to be inline with Mosiah Hancock's vision, and spirits being created mates. First, we don't even know what a spirit is, really. Is is heavy? Is it strong? Is it colorful? Can two spirits give each other a high five? It has the form of a person. It's hard to even ask intelligent questions, let alone answer them, about something that is so little understood. I am dwelling on the immortality of the spirit of man. Is it logical to say that the intelligence of spirits is immortal, and yet that it has a beginning? The intelligence of spirits had no beginning, neither will it have an end. That is good logic. That which has a beginning may have an end. One directional eternity doesn't make sense, at least to Joesph Smith. Anything that is fundamentally eternal is eternal in any direction. Of course, God is said to be the Father of spirits (Hebrews 12:9, D&C 76:24). How does that fit into the picture? You ask the learned doctors why they say the world was made out of nothing, and they will answer, "Doesn’t the Bible say he created the world?" And they infer, from the word create, that it must have been made out of nothing. Now, the word create came from the word baurau, which does not mean to create out of nothing; it means to organize; the same as a man would organize materials and build a ship. Hence we infer that God had materials to organize the world out of chaos—chaotic matter, which is element, and in which dwells all the glory. Element had an existence from the time He had. The pure principles of element are principles which can never be destroyed; they may be organized and re-organized, but not destroyed. They had no beginning and can have no end. It is the same way with the "intelligence" or "spirit" mentioned. It is eternal (in both directions), and was organized by the Father and Creator. Now whether this is literally the Casper-like spirit normally thought of or something more principal elemental that was organized, or created, into a full fledged spirit we don't really know...because we don't really know what a spirit is. Although I am technically a Baptist, I study the Scriptures for myself and draw my opinions from them, and not from any Denominational interpretation. I will give you what my understanding is concerning the Spirit as I understand the Scriptures. All Scripture is quoted from the King James translation unless otherwise noted. this is what God formed out of the dust of the ground, but it is just a lifeless mass at that time. This is the immortal component created by the breath of God which he breathed into the lifeless form he had made from the dust. There is no reference to the Spirit in the account of God creating man. The first reference to spirit is in Genesis 1:2 and that refers to the Spirit of God. spirit ([-ual]), tempest, X vain, ([whirl-]) wind (-y). This would appear to be the characteristics of the person which are formed by life experiences. From these two passages, I have come to believe that Spirit is interchangeable with experience. Please correct me if I am wrong. These have apparently abandoned the teachings of the Spirit of God and opted for the teachings of the Spirit of Satan. Matthew 10:19 and 20 But when they deliver you up, take no thought how or what ye shall speak: for it shall be given you in that same hour what ye shall speak. For it is not ye that speak, but the Spirit of your Father which speaketh in you. These are the conclusions I have reached in my studies, and there is much more that can be said about the Spirit, But to me the thing that is important is that God has a purpose for every person he places in the womb, and he in his perfect knowledge knows how each Spirit will develop and what ones will accept him. The Soul is that part of man which once established is eternal. Once established it will continue to exist in perpetuity. The Spirit and Soul are the two elements of human existence which will either spend Eternity in Heaven with God or in the lake of fire with Satan. The soul then is that part which given by the breath of God is that part which is Eternal and makes the Spirit eternal. The soul is given to man when God breathes the breath of life into man, whether that is at conception or at physical birth is the contentious argument on which abortion is based. Most Christians believe that that is at conception, and therefore abortion is killing a living Soul. We are somewhat comforted by the fact that that soul never attained a spirit and therefore will not be subject to the eternal wrath of God. Together the Soul and Spirit will either experience the Grace of God or the wrath of God. Why would the Spirit experience the wrath of God? What would be the purpose of punishing the Soul for eternity if it had no memory of being informed about the Grace of God and yet rejecting that free gift of God? Revelation 20:14 and 15 And death and hell were cast into the lake of fire. This is the second death. And whosoever was not found written in the book of life was cast into the lake of fire. The body will return to Dust, but the Spirit and soul; one established by God himself and the other established by man, will live for eternity. It is not the Soul that condemns us to eternal punishment it is our Spirit, (or the knowledge that the grace of God was offered to us, but rejected. ), that brings on eternal wrath of God. The soul unlike the body and spirit is strictly a spiritual gift from God and it can be either a good or bad gift depending on the actions of our minds once we know the grace of God is available to us. Not the answer you're looking for? 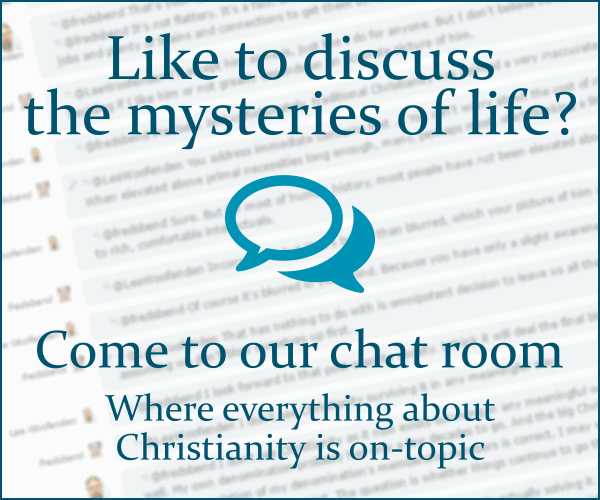 Browse other questions tagged nature-of-god lds creation souls or ask your own question. What is the difference between the two creations of humans, according to those who believe they are in chronological order? To the YEC, did God make a single male/female pair of each kind of animal?